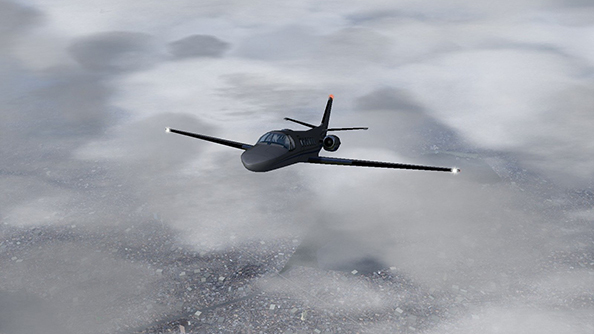 What’s FlightGear, you ask? Well, FlightGear is many things to many people, but mostly it’s the freely-available open-source flight simulator that caused my old PC to literally explode within twenty seconds of starting it up several months ago (although that may also have been some faulty wiring on my part following a graphics card upgrade). Nevertheless, X-Plane didn’t fill my study with the smell of burning carpet and cause me to wear a plaster on my thumb for almost TWO DAYS. 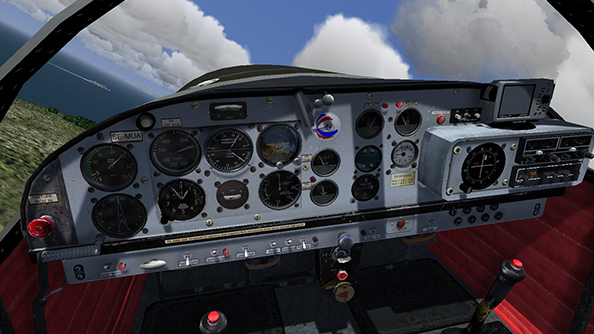 Anyway, FlightGear has just had a major version release – v2.10 numeracy fans – and here’s a rundown of why that’s a good thing. As always with major version updates, there’s been some major graphical enhancing going on. 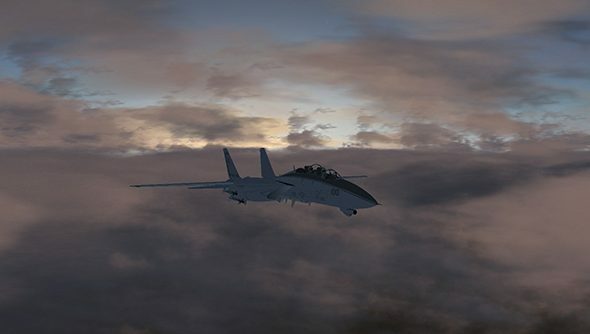 Aside from shiny new cockpits and instrument panels for several of the included aircraft, the biggest visual upgrade is with the Atmospheric Light Scattering system. This puts some serious mathematical oomph behind the way light in the world is calculated and, when combined with the new ‘Advanced Weather’ systems, means FG’s environmental effects are nothing short of breathtaking – providing you have a PC with plenty of power to back it all up. 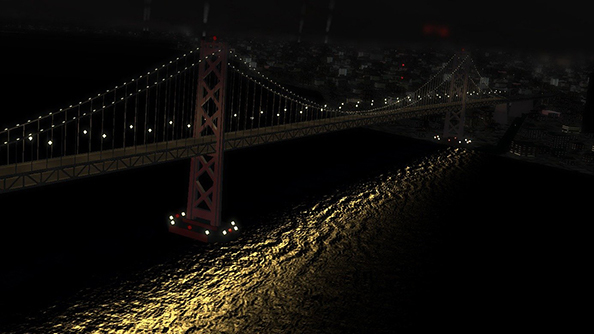 We’re talking moonlight modelling making VFR flying at night highly realistic, advanced shadow portrayals, volumetric fog that differs in thickness at varying altitudes, cloud layers that influence the intensity of light reflections, even winds that affect the wave patterns on water. To help older PCs cope (and making them less prone to Sudden Rapid Energy Release Syndrome) and to provide better frame rates with all these visual improvement, the development team has put in a serious amount work reducing memory usage across the board. Probably the best upgrade of all though is Project Rembrandt. Rembrandt lets the user apply all sorts of funky visual effect filters to the camera, from night vision or fish-eye distortion lens, through to colour shifting and old timey sepia-toned film reel effects. Useless for flying with but a positive boon to people wanting to use the software to make films of their flights more interesting. Or to simulate flying while stoned. FlightGear is well worth a look if you haven’t yet invested in the more pricey ‘professional’ options, although being open-source expect the usual level of unprofessionally impenetrable UI and support (although, to be fair, v.210 also addresses a lot of the presentation aspect, including updating the previously awful airport selector so that it now includes maps!). But behind that, there’s a passionate community of fliers and a decent multiplayer server. And thanks to the upgrades, it now looks better than FSX too. Which is nice.